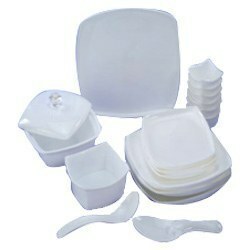 We are leading manufacturer and supplier of Commercial Crockery. Backed by our team of skilled professionals, we are offering Food Court Acrylic Crockery that is popular for its attractive looks and strong manufacturing. Our clients can customize the product according to their need and can avail it at best pricing as per industry standards and norms. Our supervisors make sure to design this product using advance technology. This looks classy and is also suitable for gifting purposes. Our organization has gained recognition as the affluent manufacturer and supplier of a qualitative range of Acrylic Commercial Crockery. 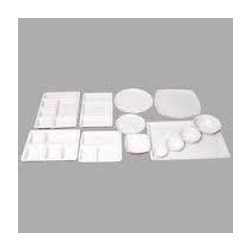 This Acrylic Commercial Crockery is manufactured by our experts using high grade raw materials as per the set industry standards. We assure our clients that this bowl is quality tested to ensure optimum quality. The offered Acrylic Commercial Crockery can also be availed by clients from us at market leading prices.